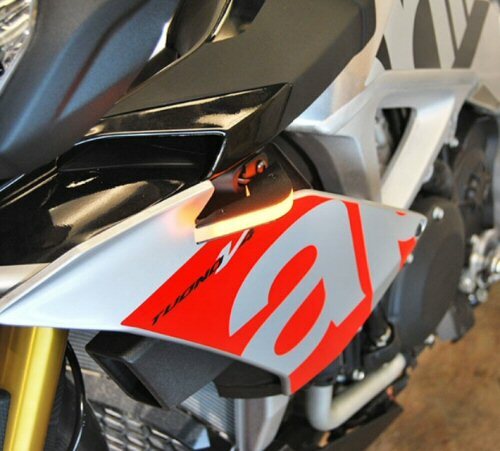 These turn signals from New Rage Cycles are a neat fresh take on turn signals. Turn signal lenses are CNC machined from polycarbonate and turn signal brackets are black texture powder coated aluminum. 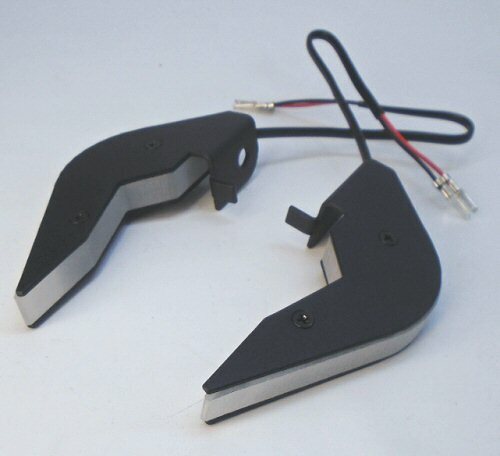 Tank Side Grip Pads For '09-'18 RSV4 (all variants), '11-'18 Tuono V4 (all variants) Made in the U.S.A. by Stomp.